Donald Trump Jr. has given up his Secret Service protection and is seeking a more private lifestyle, The New York Times reported on Monday. According to the report, the Secret Service stopped protecting Trump Jr., the eldest child of President Donald Trump and an executive of the Trump Organization, last week. Trump Jr. is seeking more privacy than he can be afforded with federal agents by his side, The Times said, noting Trump Jr.'s affinity for camping and hunting. The suspension of Trump Jr.'s protection is welcome news for the Secret Service. The agency has been spread thin because of the Trump family's large size and frequent travel, which includes the president's near-weekly outings to his golf clubs and other properties and his children's overseas business trips. Kellyanne Conway, counselor to Trump, is also no longer receiving Secret Service protection, according to CNN White House correspondent Jim Acosta. Conway had been authorized for the agency's services by Trump, after having received several threats, New York Magazine reportedin March. USA Today reported in August that more than 1,000 Secret Service agents had reached the mandated caps for salary and overtime allowances, depleting funds meant to last the entire year. According to The Times, the Secret Service must protect members of the president's immediate family until instructed to stop. It is unclear if Trump Jr.'s decision will also lift protection from his wife, Vanessa, and their five children. 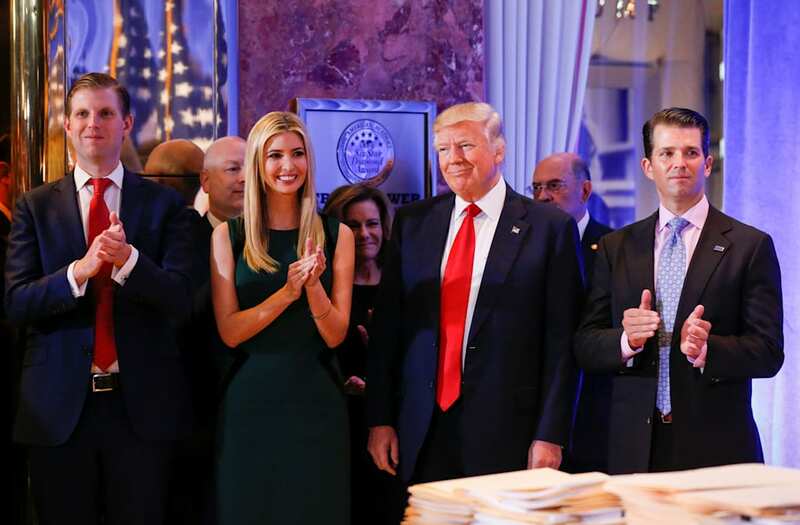 Trump's other children and their families will remain under Secret Service protection.